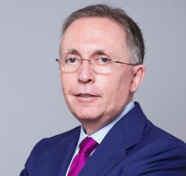 General secretary of the Princess of Asturias Foundation since May 2011, he graduated in Law from the Autonomous University, Madrid, and entered the Corps of State Lawyers in 1984. Lawyer at Ontier and he also lectures in Public and Economic Law and Regulated Industries at the IE Law School, as well as holding the José María Cervelló Chair, which fosters research and teaching in Lawyering and Legal Ethics. He commenced his professional career as a state lawyer for the Tax Authority and before the Higher Court and Courts of Justice of Toledo (1984). He then became a legal advisor to the Ministry of the Presidency (1986) and, finally, chief state lawyer of the legal advisory body of the then Ministry of Health and Consumer Affairs (1987). In 1998, he joined the law firm of Ernst & Whinney, which, after its merger with Arthur Young, gave rise to Ernst & Young, where he was a partner of the legal and tax department until 1996. He has been sub-secretary of state for Defence (1996-2000) and Promotion (2000-2004), member of the Board of Directors of Indra, assistant lecturer in Administrative Law at the Law Faculty of the Complutense University, Madrid, and associate lecturer of the same subject at the Ramón Carrande Centre for Social and Legal Studies at King Juan Carlos I University. Since 1986, he has been a member of the faculty of the Instituto de Empresa, where he participated in the creation of masters’ programmes in Law at this business school, in addition to lecturing in the area of Economic Public Law, a subject matter he pioneered in Spain. He has authored numerous articles on his speciality and has headed different group research studies. He sits on the editorial committee of the journal Actualidad Jurídica Uría Menéndez and on the editorial board of the Revista de Derecho del Transporte (Terrestre, Marítimo, Aéreo y Multimodal). Member of the Bar Association of Madrid and of the Association of State Lawyers, on whose board he sits, he is also vice-president of the Spanish Air and Space Law Association, member of the Spanish Aeronautical Society and general secretary of the Spanish Foundations Association. He was a founding partner of the Civil and Mercantile Court of Arbitration and has been a member of the Court of Arbitration for Football and vice-president of the Spanish Public and Regulated Procurement Law Association. He is one of the most renowned experts in Spanish public law and is an Honorary Pilot of the Spanish Nautical Pilots Association. He holds the Grand Cross of Isabella the Catholic and the Grand Cross of Maritime Merit of the Spanish Naval League, among other honours. He sits on the Delegate, Audit and Assets Committees of the Princess of Asturias Foundation Board of Trustees. He sits on the Delegate, Audit and Assets Committees of the Princess of Asturias Foundation Board of Trustees.